The Second World Congress of TUI ( Pensioners and Retirees) will be in Bogotá, Columbia on 27-29 February 2019. Comrade K.G.Jayaraj, General Secretary, will be attending the Congress representing AIBDPA. Coms. K.K.N.Kutty (NCCPA) and K.Raghavendran (AIPRPA) are also expected to attend. Though I am a Committee member of TUI’s Technical Committee and invited, I am not able to attend due to health reasons. 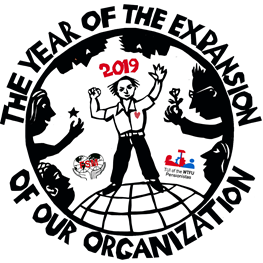 It is hoped that the World Congress will seriously discuss about the attacks on the pension and other pensionary benefits world wide and take necessary resolutions and programmes.